Hello friends! 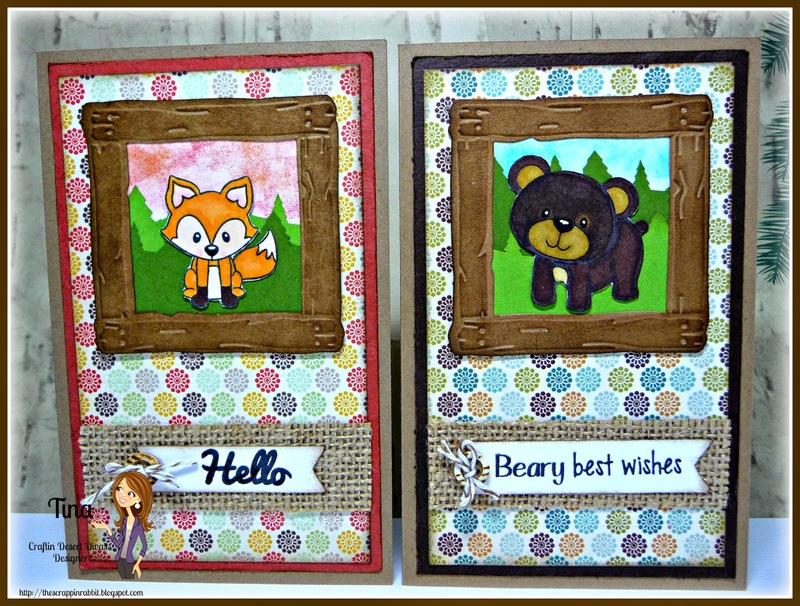 This is Tina from The Scrappin Rabbit blog and today I would like to share with you a couple note cards I made using the adorable and sweet images from the CDD Deer Friends stamp set. I chose these little woodland creatures because they are just the cutest and fit our Animal Theme Week perfectly. 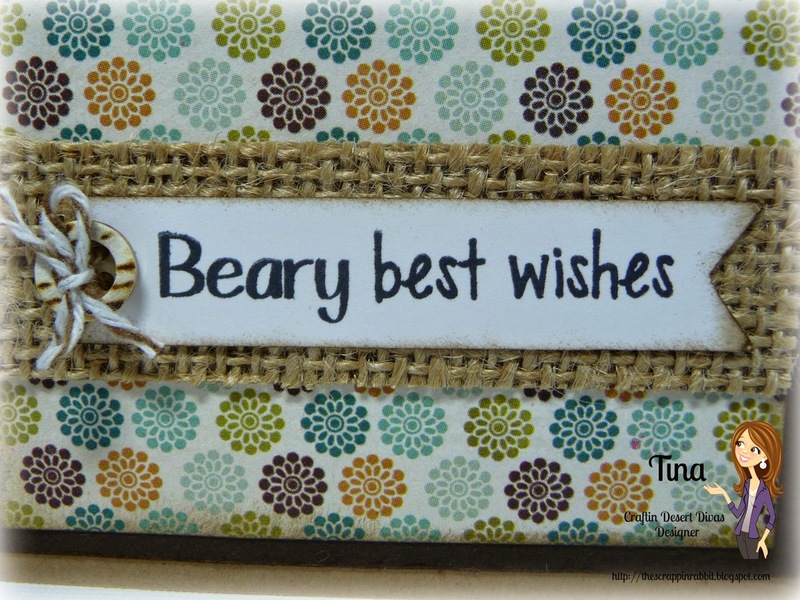 The Hello sentiment is from the Simply Said set and the Beary best wishes is also from the Deer Friends set. Here are pictures of the stamp sets I used. You can visit the shop by clicking HERE! Thanks so much for stopping by! Hope you can join our Linky Party and be sure to stop by for another Animal themed project tomorrow! Have a great day! OMGoodness, these are so sweet! The Deer Friends set is totally adorable! 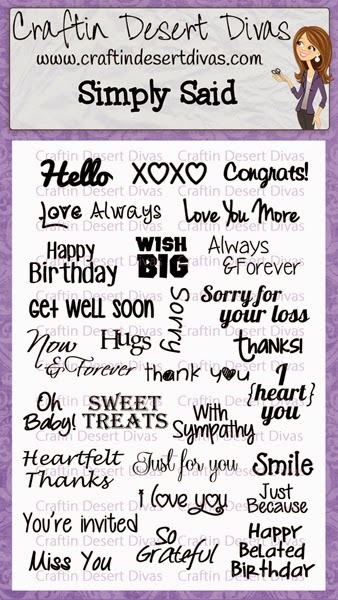 Wonderfully adorable Note Cards. Nice paper choice, also like the way you stamped the sentiment on paper & than adhered it to Hemp. Have to ask did you color the bear, fox & background yourself or did you print & cut them? Either way the coloring of then is wonderfully done. 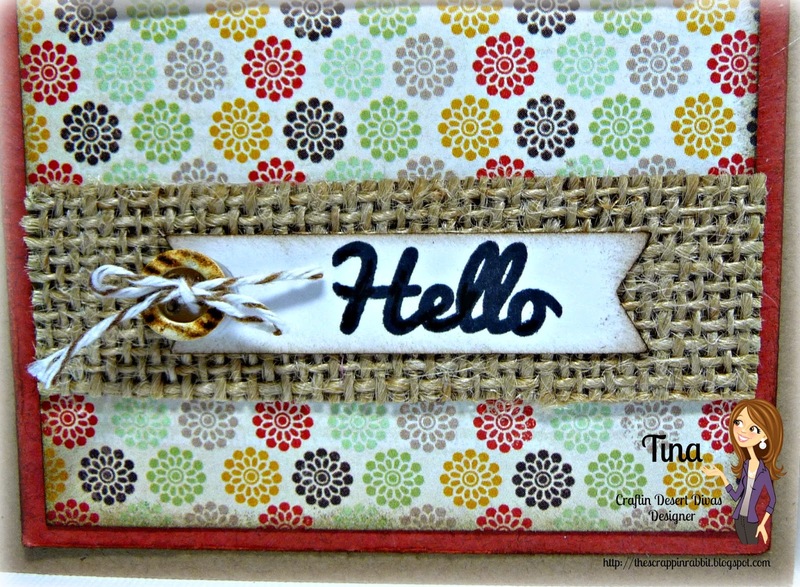 Super duper cute Tina, adorable images and love the paper combos! These are so cute! I really like this stamp set. Great job. I really like how the frame and burlap look together. Love your cards, those little animals are sooooooo cute. Love, love love! Your cards are adorable! 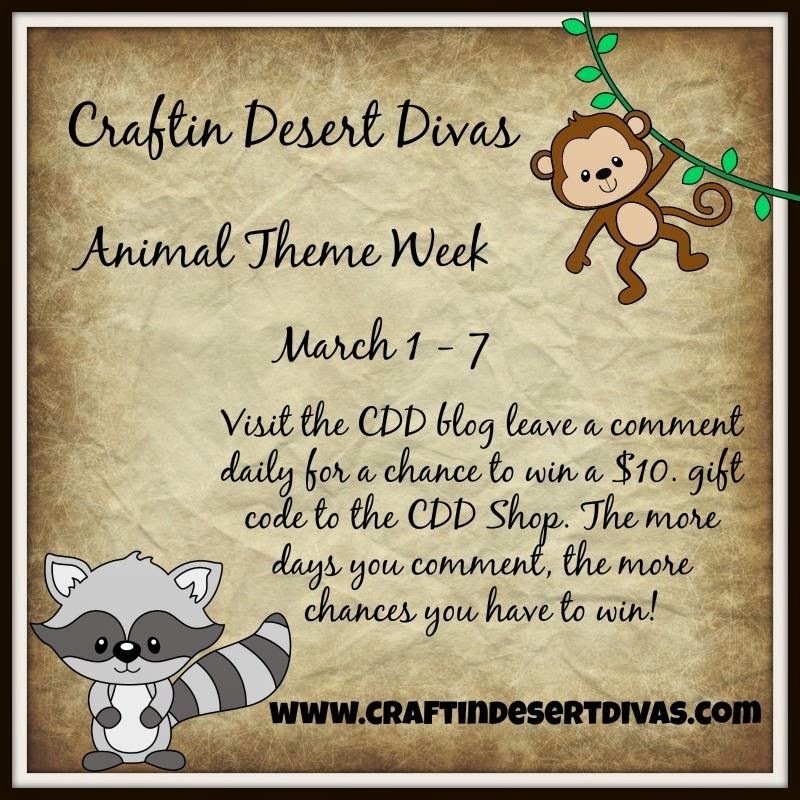 Love the adorable animals, the wood frames and burlap too! So creative! 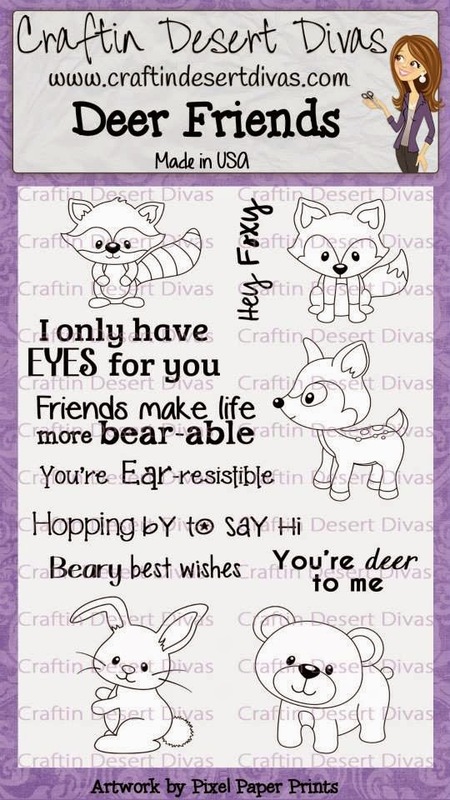 Cute cards, I love the "
I love your cards, how you framed in the animals is so cute. That bear is adorable...great touch with the burlap! Like the framing & use of burlap. Awww these are beary cute. Thanks for sharing.